DCFW: Designer Voices — | The Style of D.C. The buzz in the room was electric. 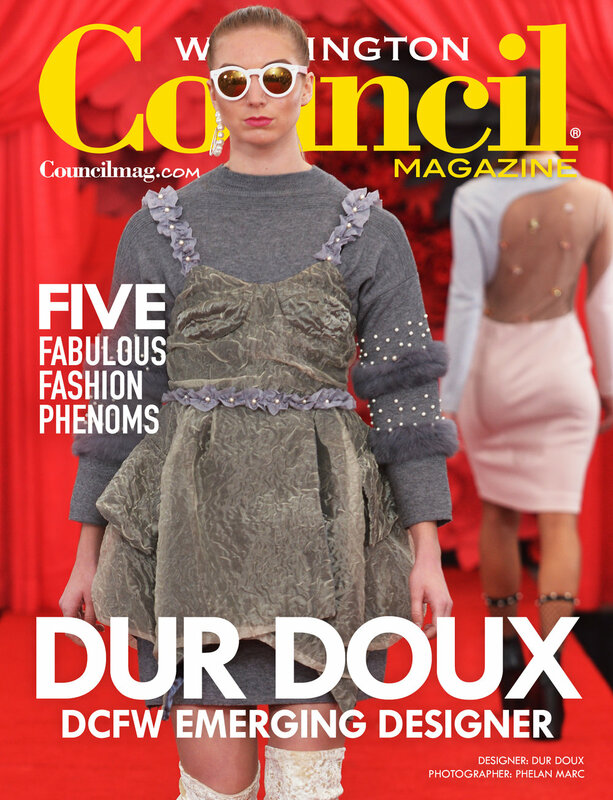 Designers and the media interacted during the DC Fashion Week Press Night at The Melrose Hotel in Washington, D.C.
Dur Doux was the March 2018 cover story that featured multiple designers from DC Fashion Week. Participants in the 28th season of DC Fashion Week stood alongside a featured garment for the Autumn/Winter Collections 2018. Above the din of the room, CouncilMag.com interviewed a small sampling of this season’s DC Fashion Week designers. Here are Byron Garrett, of The Valdecio Collection; Nadia Azumi, of Nadia Azumi Silk Couture; Najla and Cynthia Burt, of Dur Doux; Stephane Koerwyn, of SK; and Malcolm Staples, of Malcolm’s Custom-Made-to-Fit, in their own words.